Over a week-long period in May, Cemen Tech partnered with the Izaak Walton League of Warren County to make improvements to their facility located just south of Indianola. 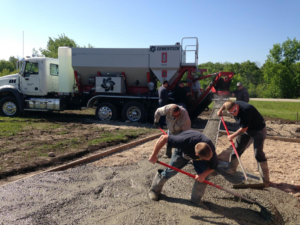 The company donated the concrete to pour multiple concrete pads and for repair of sidewalks. 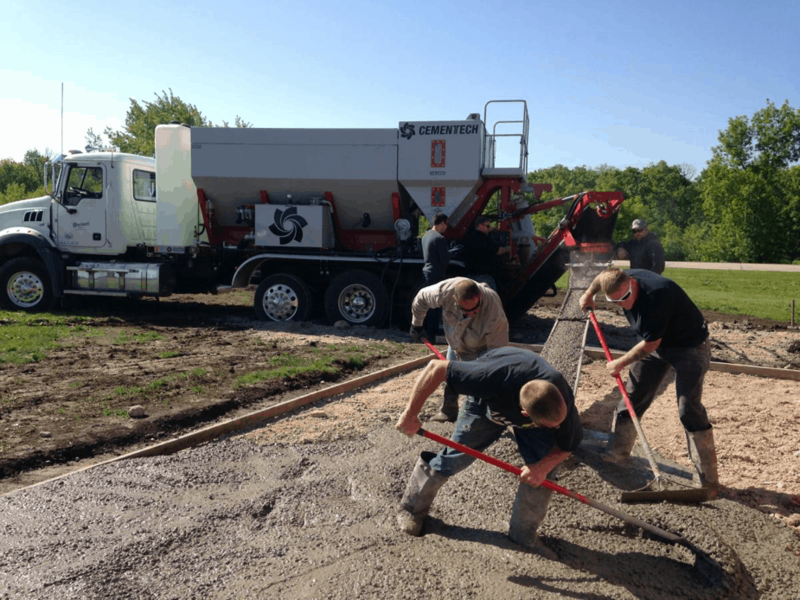 The pour gave Cemen Tech engineers an additional opportunity to test the company’s new C860 on a job site. The C860 is Cemen Tech’s newly re-engineered machine that debuted at the World of Concrete earlier this year. Production of the C860 will begin later this summer and the units will eventually be shipped around the world. Cemen Tech is anticipating huge demand for the new machine. As a result, the company is currently expanding to a second, non-daytime shift. “Being able to test our new machine while helping a local non-profit organization at the same time was a win-win for both Cemen Tech and the Izaak Walton league. We are happy to help such a respected organization in our community,” said Thomas Kjellberg, Cemen Tech’s VP of Engineering. The Lake Ahquabi Chapter of Whitetails Unlimited provided funding for a contractor to grade and finish the concrete.